Showing results by author "Kelsey Crowe"
When someone you know is hurting, you want to let them know that you care. But many people don't know what words to use - or are afraid of saying or doing the wrong thing. 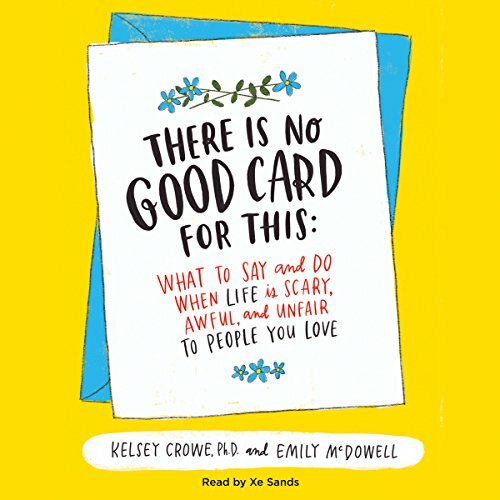 This thoughtful, instructive guide, from empathy expert Dr. Kelsey Crowe and greeting card maverick Emily McDowell, blends well-researched, actionable advice with the no-nonsense humor and the signature style of McDowell's immensely popular Empathy Cards to help you feel confident in connecting with anyone experiencing grief, loss, illness, or any other difficult situation.